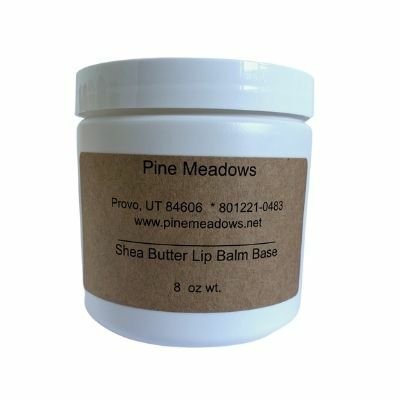 ingredients:theobroma cacao seed butter (cocoa butter), carthamus tinctorius (safflower oil), cocos nucifera (coconut oil), beeswax, butyrospermum parkii seed butter (shea butter), mangifera indica seed butter (mango butter), or lanolin.The Vitamin E Lip Balm Base contains the following: theobroma cacao seed butter (deodorized cocoa butter), carthamus tinctorius (safflower oil), cocos nucifera (coconut oil) beeswax, butyrospermum parkii seed butter (shea butter),Vitamin E(natural). *** Use our transfer pipettes (disposable droppers) for filling the lip balm tubes. Just snip the end off so the opening is a bit wider and they work like a charm!